Sunglasses or goggles: what’s the best choice for MTB? Jérôme Clémentz tells all.  An essential piece of kit for all cyclists, how do you choose the right pair or do you simply choose between sunglasses and goggles to go mountain biking? We asked the opinion of Jérôme Clementz, Winner of the Enduro World Series in 2013 and 3rd in 2015 and 2016. When do you ride with goggles? Jérôme Clementz: “When I’m competing and sometimes in training, I use the MTB Bang goggles: on the one hand because the googles are perfectly integrated with my integral helmet and, on the other hand, because they offer perfect protection. When competing, stones and dust fly up when someone is in front of you and the goggles help to insulate yourself from the external elements and maintain focus on riding. " And what about sunglasses? When do you wear glasses to ride? Jérôme Clementz: “I use 2 pairs of sunglasses: Renegade and Aero. For intensive training I use Aero: it’s light and with numerous venting points it allows air to circulate; fog does not settle on the lenses. The rest of the time I like wearing both the Armor and Blast sunglasses when I’m riding: they have quite a relaxed look, which suits the spirit of Enduro and stay put on the nose while offering good protection. " 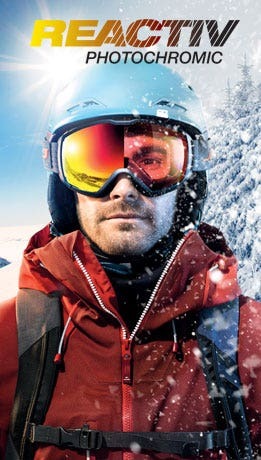 a sufficiently vented frame so that air can circulate to prevent fogging on the lenses during intense effort. a frame that goes far enough around the face to protect your eyes from external annoyances (dust, mud, flies and midges, etc.) and from the lateral rays of the sun. a frame with slim temples to ensure a smooth fit under helmets. Which lenses do you prefer to use? Jérôme Clementz: "When it comes to lenses, I always use Zebra Light photochromic lenses for goggles and sunglasses. They are versatile and allow me to ride through countryside or undergrowth and vice-versa, without any problems. 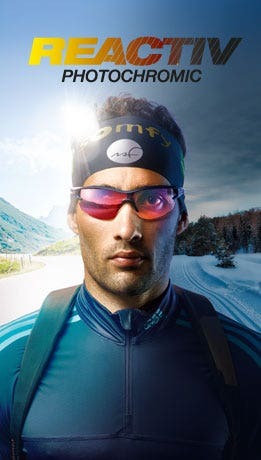 They are ideal for my sport"
Without further ado, we recommend you choose a model with photochromic lenses for mountain biking: Just one pair to cope with all light conditions. Our Reactiv photochromic technical lenses activate within 22 to 28 seconds and also have an anti-fog coating and an external oil-repellent coating which facilitates water run-off. Their yellow colour enhances light conditions and allows an excellent perception of depth - very useful on mountain paths. Two ranges of sun filtration indices are available - you identify your usage and sensitivity to bright light.